We stayed at the excellent Boulder Adventures house in Llanberis. During the week David had floated the idea of a bit of mountaineering, anxious as he was to avoid faffing and wasted time and daylight on Saturday morning. Rhona, Nick, Simon, Richard, Will, Helena and Anna were hooked. 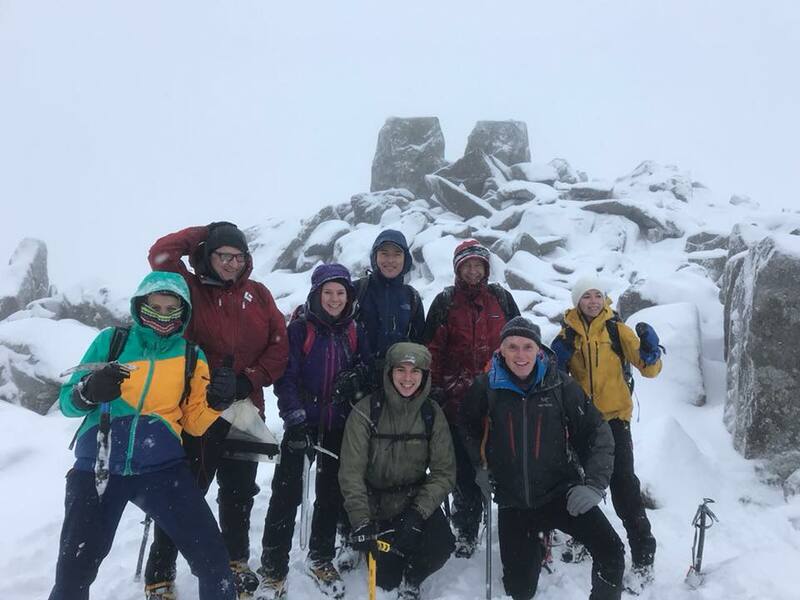 A reasonably early start saw the 8 at the bottom of Tryfan before 9. The walkers rose a little later with a plan to walk direct from the house up Moel Eilio. Sarah, Caroline, Ian and Phil were involved. 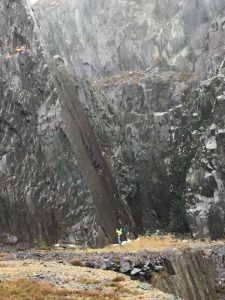 Helen took Meggie to Angelsey and Robin took Coffa on an epic run up several Snowdonian peaks. For everyone with the possible exception of Helen the weather was cold, snowy and wintery. The climbers (did anyone say it was a walk?) 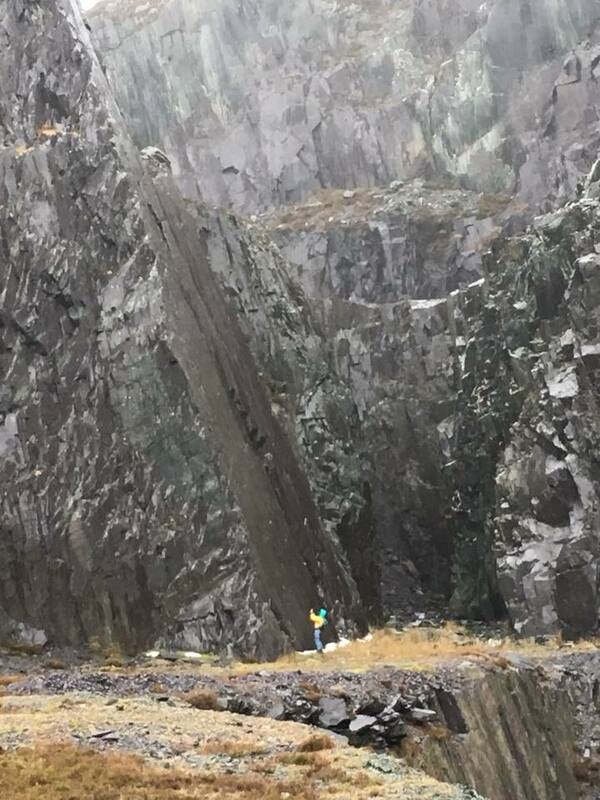 scrambled up the almost interminable boulders and clefts and ledges of Tryfan’s North Ridge culminating in the exciting final section. 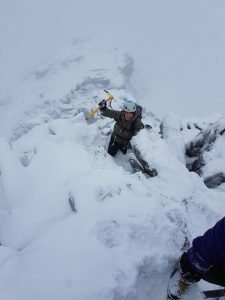 Everyone had crampons (some for the first time) except Will who managed with pavement grippers. Snow was cleared off ledges, thrutching and wedging occurred. After a triumphant snack on the summit they descended to the gap by the wall (not without detour in the mist) at the foot of Bristly Ridge. After a very long debate and with a mixture of emotions including resignation, elation and apprehension, everybody decided to follow David up Bristly Ridge as he appeared to be obsessed with the project. 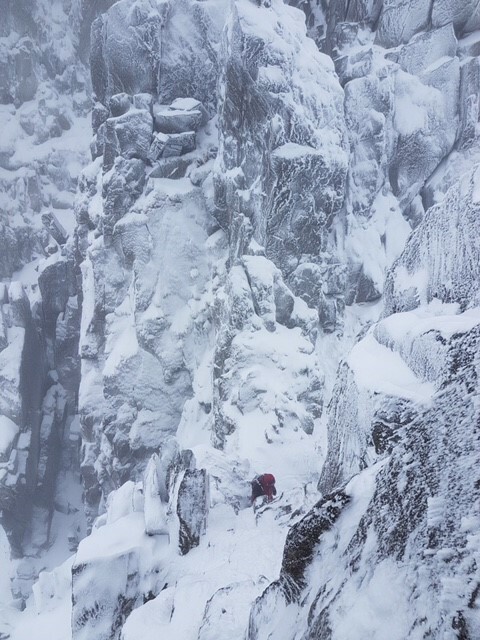 The ascent up the gully which gains the ridge was in full winter condition and proved to be good sport for all. The ridge was technically easier but no less spectacular. Meanwhile the walkers had encountered similar conditions on Moel Eilio. On the summit they all took advantage of Phil’s excellent storm bivvy and had coffee and sandwiches. The route continued up a rocky ridge on the edge of a misty void. With improving weather Foel Goch was also ascended. The whole team had a fantastic evening in the Heights. 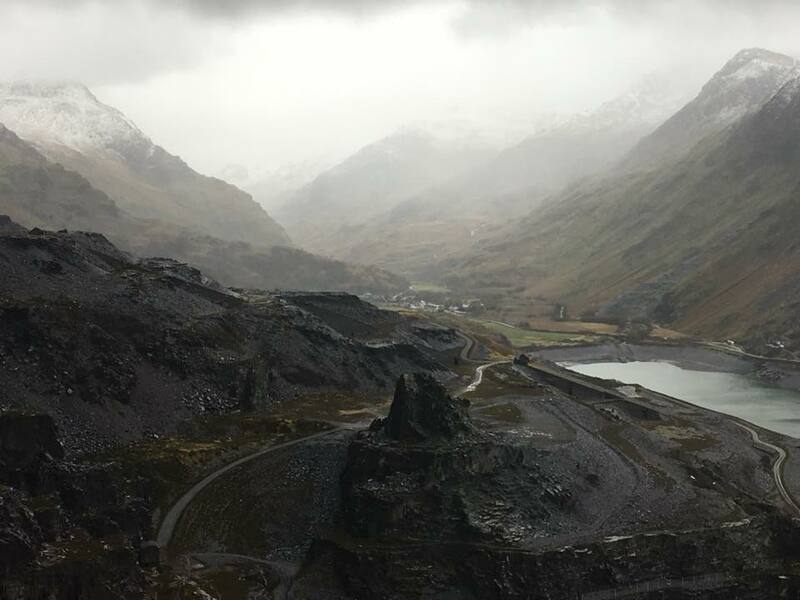 On Sunday Anna, Rhona, Richard, David, Nick and Simon went to the slate quarries in the rain. Anna jumped over the fence and consumed with enthusiasm looked like she was going to solo up.